We at District Council 53 think it is time to be seen. No matter where you look in any direction, you can see the finished products of the members that belong to the International Union of Painters and Allied Trades. Whether you are looking out of a window that our Glazers have installed or looking at a wall that the Dry Wall Finishers have finished and the Painters have either painted or put wall covering on, if you are driving down the road looking at a bridge or a factory it is a good bet that our industrial membership has sand blasted and painted them one time or another. All other companies, businesses and even the other trades make sure that they are known and seen. We feel it is time to let the Membership, the Contractor, and the General Public know what the IUPAT stands for and what we can do for them in the way of safety training and skills training. We have been working on a mobile training center that we can take anywhere to do the training that is required by the members of the IUPAT and here it is, we will not hide any more. NACE classes are periodically offered at the FTI Training Center in Weston throughout the year. Call 304-549-6032 or email tphillips@iupatdc53.org for more information. 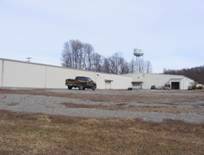 We have a 96,000 sq ft state-of-the-art training center in Weston WV located at 117 Label Lane. We are dedicated to providing the most state of the art, true to life training center there is to offer. We have constructed a 65 ft. long bridge that sits 11 ft. off the ground so we will be able to teach rigging and the building of containments for abatement and painting. 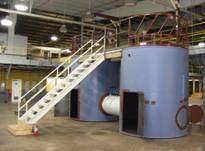 We also have installed two 100 barrel tanks to accommodate our members that work in plants and other industries. These also double as our confined space simulators for the OSHA training that we provide. There is a 152 ft high water tower on the grounds that we use for training as well, not only getting them use to heights but painting too. To insure that we stay up on the latest training equipment we have teamed up with Marshall Community College and installed two state of the art Virtual Reality training machines for paint spraying and sand blasting. These will let our members learn how to paint without wasting materials or harming the environment. Any member who would like to learn new skills or just polish up on the ones they all ready have are always more than welcome to attend these classes. Please note that classes may change do to the weather or other unforeseen problems, you will be notified of classes or class changes with the new W.A.R.N. phone service we have installed for the district council. Our training class schedule and times can be found by clicking the link above.